He believed Hillary Clinton would be elected president and this would all be swept under the rug. So they adjusted the facts to meet a pre-determined conclusion. It is never too late to see justice served. It is time for a special prosecutor to investigate Comey, Lynch, Rice, Obama, Powers, and Clinton. The FBI needs a swift and thorough cleaning-out of everything Comey did. Do you believe our entire FBI apparatus was compromised and corrupted under the Obama regime? This is a huge, eye-opening scandal and it is not even on the MSM’s radar. 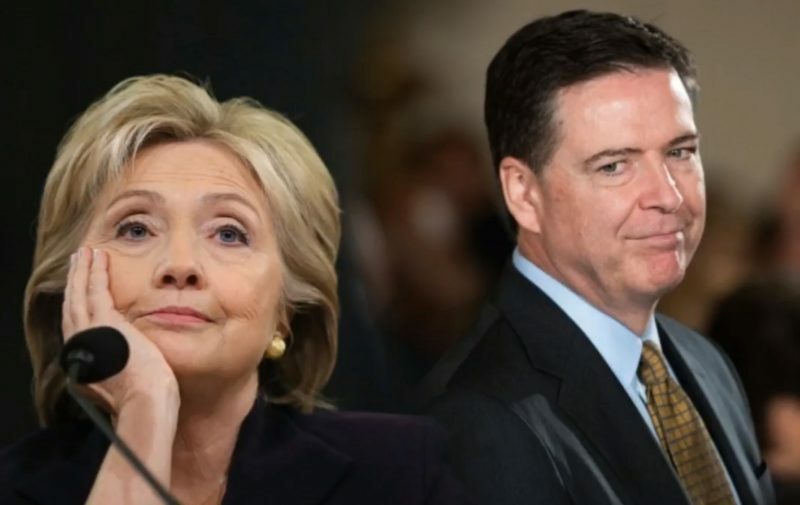 Daily Caller: The FBI released emails Monday confirming that former FBI Director James Comey drafted statements regarding the Hillary Clinton email investigation months before the probe was closed. The draft statement was first revealed in late August by Iowa Sen. Chuck Grassley and South Carolina Sen. Lindsey Graham, two members of the Senate Judiciary Committee.